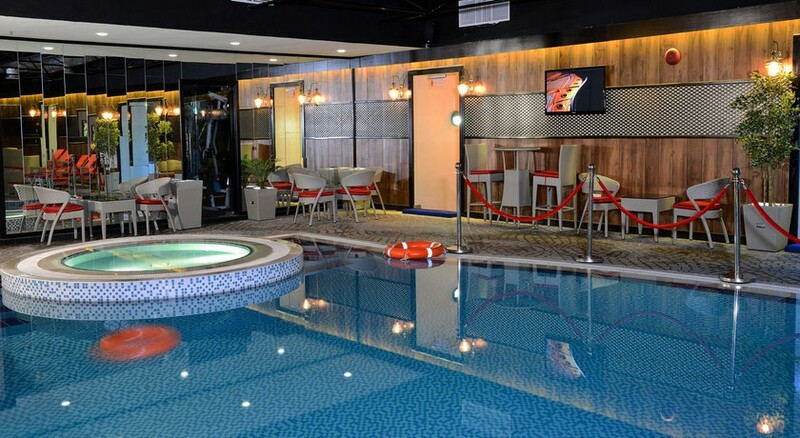 Located in the heart of Dubai's business district, a 5-minute walk from Clock Tower, this hotel has an indoor pool and a gym. 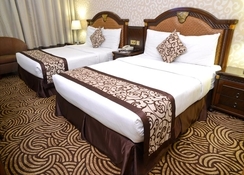 Rooms are elegantly furnished and have satellite TV. 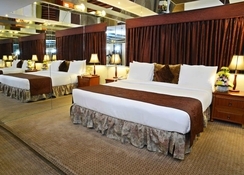 Some of Sun & Sands Hotel's luxurious rooms come with a large living area with modern furnishings. Guests can relax in Hotel Sun & Sands' sauna and hot tub. The hotel's tour desk offers information of the local area. Hotel Sun & Sands restaurant serves local and international dishes. 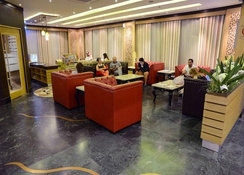 Drinks and refreshments are offered at the hotel's bar. Dubai Airport is a 10-minute drive from Sun & Sands Hotel. An airport shuttle service is provided by the hotel. Free private parking is available and a reservation is required. 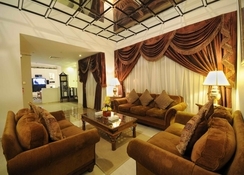 Deira is a great choice for travellers interested in outlets, street food and fine art museums. Parking is free. There are 3 internationally themed eateries, including a 24-hour cafe and a rooftop bar/restaurant with city views, plus 4 nightclubs. There's also a spa, a gym and a rooftop pool, and activities such as shopping and beach excursions are available. Cosy rooms with eclectic decor offer Wi-Fi, flat-screen TVs and minibars, while suites add living rooms and whirlpool tubs. Room service is available 24/7. 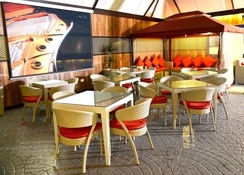 Al shahria & Al shahryar Night Club offers live music with Hiba Masod Performance and Arab cuisine, Sawary night club offers live music and Indian cuisine, African club offers live music and African cuisine, while the Flavors Coffee Shop serves light meals throughout the day. 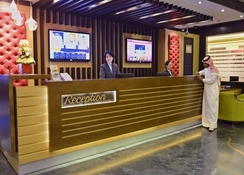 Set in a sleek building with a glass facade in the commercial Deira neighbourhood, this laid-back hotel is 4 km from Dubai Gold Souk market and 12 km from the Burj Khalifa skyscraper.